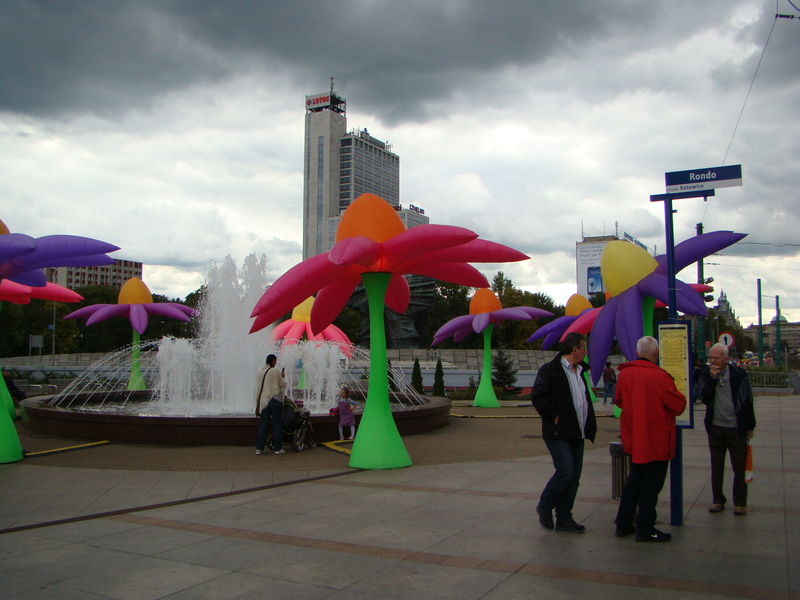 Flowers are blooming in Katowice. 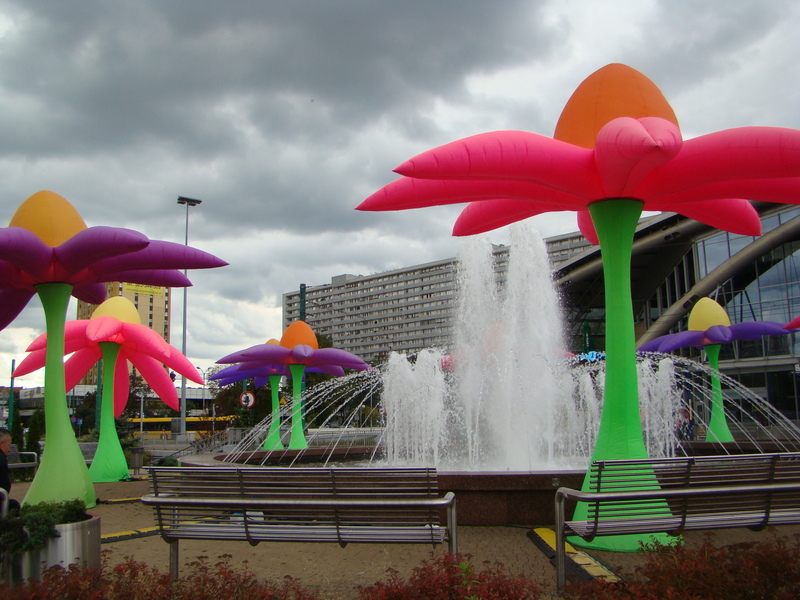 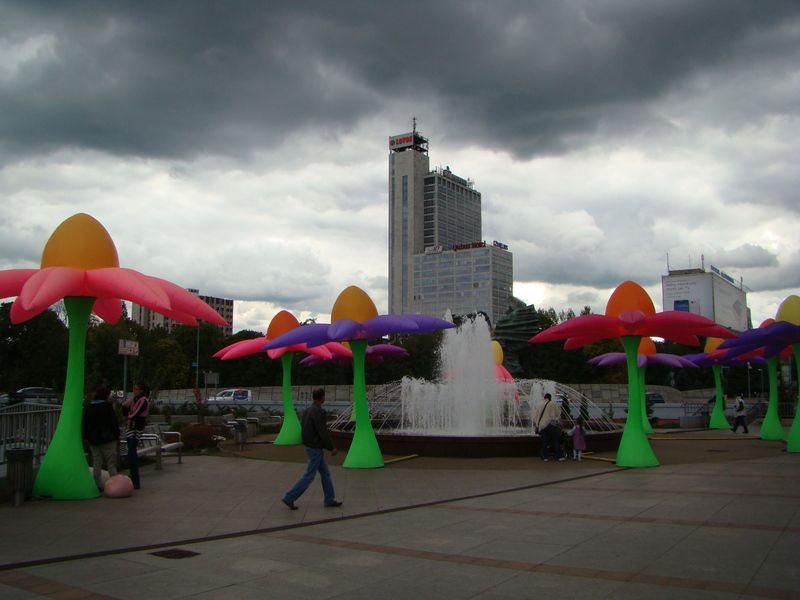 Come to Rondo near Spodek and see around sometimes colorful foutain the gigantic air flowers. 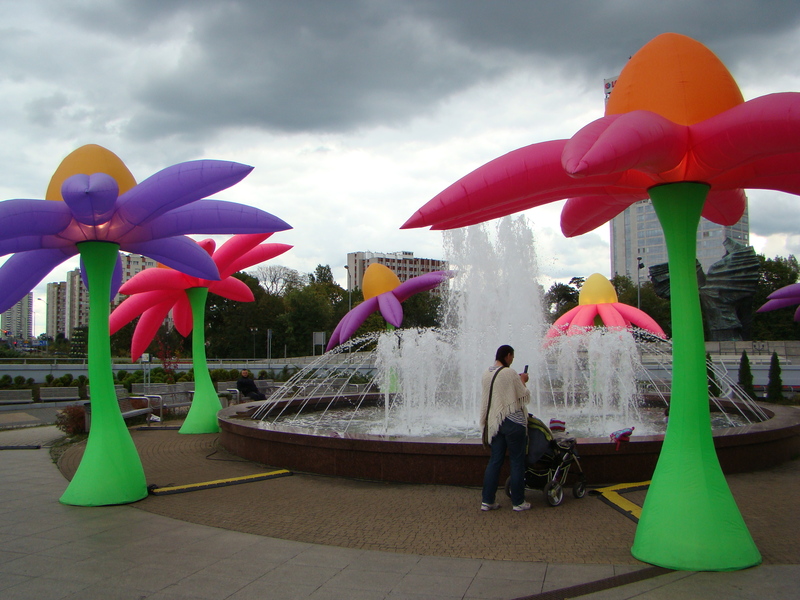 Or are they Palms? 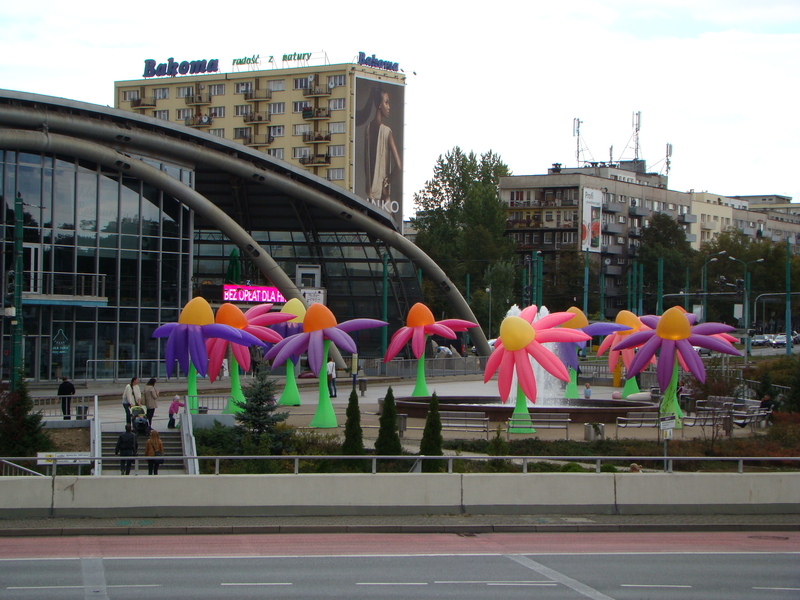 Or Echinacea?